Many of the sounds in their collaborative work, considered as discrete elements, are familiar to my ears, and certain referents come to mind upon repeated listens - the multivalented, jigsaw assemblage of Absence & Forgiveness is somewhat reminiscent of the Annette Krebs/Taku Unami's duo release, motubachii; the sustained interest in extreme pitches, heard on Savonarola and 1498, particularly those on the frequency scale that get my dog's alert attention, invoke the Stasis Duo, as well as the invariable touchstone for this area, Sachiko M and Nakamura. They are, however, set apart in the field not by a sui generis sound palette, but by their approach as a duo who clearly work with a heightened, joint intuition for the placement of sound and silence, and the subtlety with which the scaffolding for the ephemera created by their poor man's arsenal of sound-generators - a suitcase analog, some scarred amplified copper plates and a toy guitar - is created, then kicked away. 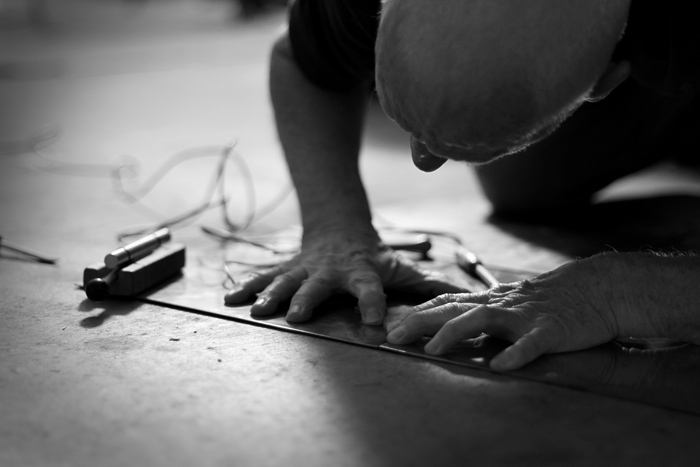 Drouin and Olsen no sooner have their sounds meticulously stacked, layered or threaded together, and they send them tumbling, sometimes precipitously. Every sound that is jettisoned impinges on us with the sound of its subsequent, frequently sudden, absence. 1498 approximates an electrical storm - about two weeks ago, my part of the world experienced just such a hella storm, during which I happened to be listening to 1498's skitter, clatter and roar. This made for a near-perfect milieu of sound and weather. 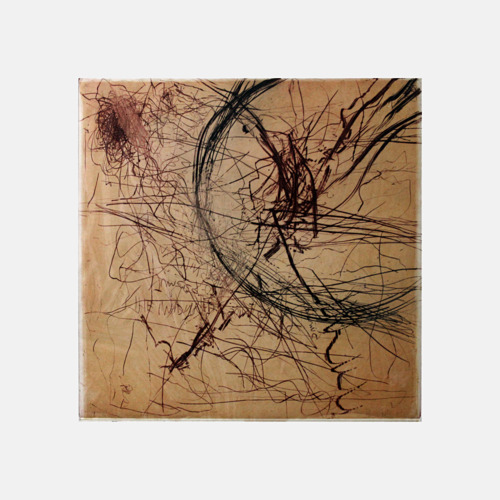 Olsen's amplified copper plates, recycled from his dry point engraving works, hold a world of unstable ambient sounds, and Olsen unlocks them all. Savonarola is the release that has the sort of guitar string scrapes and smushed Brillo-pad effects Keith Rowe developed with his restless tool accretion years ago - I mention these as they are really among the very few familiar sounds along the way, where Olsen's toy guitar is concerned. Drouin generates great clouds of black, smokey low-end rumble and distressingly high tones that fake and feint toward a Shepard scale, making their abrupt disappearance the more startling. There are more than a few passages of solemnity and, insuring the duo never settle into the dronesphere, alarm, tension and apprehension. This is another distinct quality of this duo, one difficult to attain, I think, in such abstract music - a sometimes powerful sense of reportage or narrative about the current state of the world. Only on Absence & Forgiveness do Drouin and Olsen allow into their materials an explicit hint of that anxious world, what is on the end of every fork - nearing the end of the piece, radio captures of a woman being interviewed about a murder and the absence of justice, her voice gradually clarified in the white hiss and other racket it is embedded in. The emergence of this report is unnerving and moving, and the fragments of words like forgiveness and justice hang for a moment in the air, before collapsing into a loud hum of bass, then silence. I am, as often as not, drawn especially to the work of musicians in duo; the pairing of Jamie Drouin and Lance Austin Olsen bears the sort of fruit that makes the duo form so compelling - no place to hide or obfuscate, the great potential for a unilaterally-generated disaster, but equally the potential for what buddhists call the one taste - that is the state in which the boundaries between dissolve, and, as in Drouin and Olsen's music, what is revealed is one mind. Or as Steindl-Rast has it, the form is scrapped, and we return to silence. 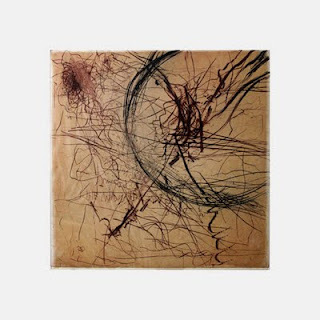 Do yourself a favor and go to the Con-v net label site to download Drouin and Olsen's recent collaboration with the ridiculously over-looked musician and visual artist Mathieu Ruhlmann.